This morning’s announcement by France’s largest energy company to increase its stakes in U.S. shale by $2.32 billion is impressive at face value. Specifically, as reported by Bloomberg’s Brian Swint, Total will take a 25 percent stake in 619,000 acres of Utica in eastern Ohio. 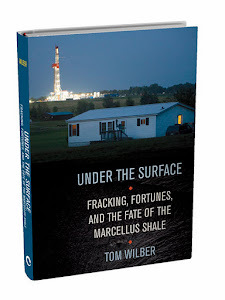 As followers of the U.S. shale gas boom know, the Utica is the largely unexplored formation that sits well below the Marcellus and covers an even bigger footprint, extending north to the Great Lakes in New York, east to the New York’s Alleghany mountain range, west into Ohio, and south to Tennessee. Some have suggested that the Utica holds more energy than the Marcellus, although a working knowledge of its potential is yet to be developed. Chesapeake Energy has been exploring the western part of the Utica, extending into Ohio, and has found natural gas liquids (NGLs). These include ethane, propane, and butane, which are valuable both as fuels and petrochemical feedstock for an array of manufacturing processes and products, including packaging, textiles, fertilizer, coatings, and adhesives. The westernmost part of the formation also holds oil reserves that, like natural gas and NGL, could be produced only by high-volume fracking. Keep these points in mind when looking for relevance of how the Total investment will impact the shale gas boom that has accelerated with aggressive Marcellus development in Pennsylvania and West Virginia, and stalled in New York due to concerns over the environmental impact of fracking. 1 -- Total is reportedly interested in the liquid part of the Utica, which is in Ohio. The carbon reserves in the Utica, under New York and Pennsylvania, are thought to be primarily dry natural gas, for which the demand has lagged as production from shale reserves in other parts of the country has created a market glut. That could change with market conditions, which are driven by demand. Demand, in turn, is driven largely by policy and politics that reflect public opinion that natural gas development is indeed a bridge to cleaner alternatives, or simply an enabler of a greater dependency on antiquated fossil fuels. 2- Total became limited with its options for shale gas exploration in its own country in July when France outlawed hydraulic fracturing. 3- The U.S., with the second largest shale gas reserves in the world behind China, has continued to attract foreign investors looking to develop and refine their hydraulic fracturing technology on U.S. shale reserves. China National Offshore Oil Corporation (Cnooc), one of the three big Chinese state-run oil companies, owns one-third interest in Chesapeake’s shale projects in Colorado and Wyoming. Royal Dutch Shell, based in Britain, and Reliance Industries, based in India, have also invested in various U.S. shale gas plays. Chesapeake has been looking for an investor to raise capital to develop the western part of the Utica. Total, with available capital but limited by policies in its own country, was a fit. Overall, Total’s purchase of the Utica fits a trend of foreign investment in U.S. shale production. The western portion of the Utica brings added value due to LNG and petroleum. How this pans out in the long term depends on the baseline belief by the U.S. voting base that there is merit in drilling for and burning of fossil fuels. As the largest energy consumer (soon to be surpassed by China), the U.S. is in a position to drive global energy markets. Without an abiding belief in fossil fuels, demand for the products of shale gas development and fracking will lag and the market incentives for drilling and fracking will weaken. Of course there are other complicating factors. The strength of the economy is a wild card, as the demand for energy tends to rise when times are good. Economic policy… Energy policy… For more insights into these variables, look to the presidential campaigns that will culminate with November’s elections.